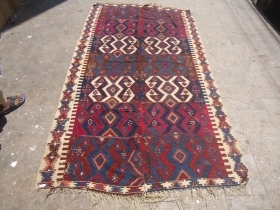 Seichour Soumac Kilim,very nice blue ground,early age and nice design,all natural colors,both ends have been repaired.Size 5'5"*4'9".E.mail for more info and pics. 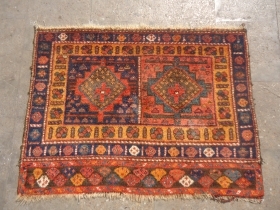 Kurd Chuval very nice design and colors,all original,soft shiny wool and colors,good age.E.mail for more info and pics. 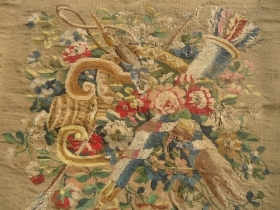 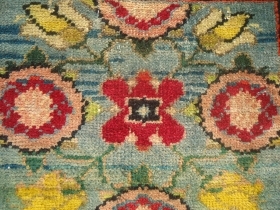 Susnai Fragment,early age and very nice design,backed with linen,Size 3'4"*3'3".E.mail for more info and pics. 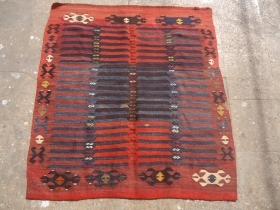 Shirvan Kilim with great natural colors and beautiful design,just oxidation to black,very fine weave and colors,good age.E.mail for more info and pics. 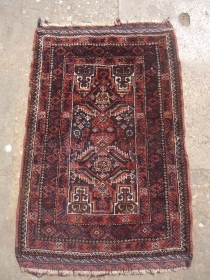 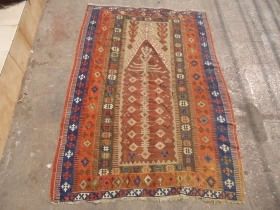 Jaf Bagface with original Kilim backing great wool and colors,excellent condition,all great natural colors.Very nice border.Size 1'8"*1'5".E.mail for more info and pics. 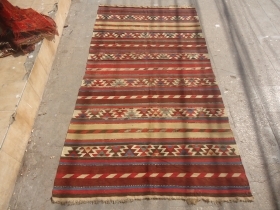 Qashqai or Vermain Chanteh beautiful design and great natural colors,original Kilim backing soft shiny wool.Size 1'2"*1'.E.mail for more info and pics. 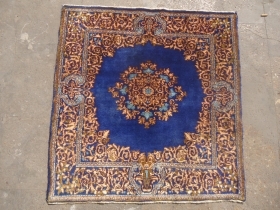 Qashqai or Shiraz Seating Rug with beautiful design and natural colors,soft shiny wool,very good condition.Size 3'9"*3'7".E.mail for more info and pics. 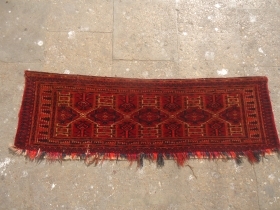 Afshar Bagface with good age and all natural colors,beautiful stripe Kilim backing,all original.Nice design.Size 1'7"*1'2".E.mail for more info and pics. 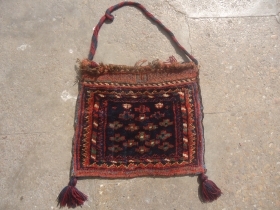 Kurdish Bagface with great natural colors and very nice design,full soft shiny wool,good condition.Size 2'*1'9".E.mail for more info and pics. 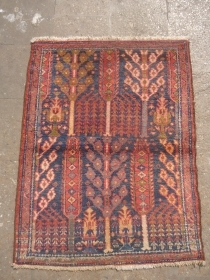 Central Asian Rug with very nice colors and design,very good condition,both ends have beautiful Kilim Size 4'11"*3'3".E.mail for more info and pics. 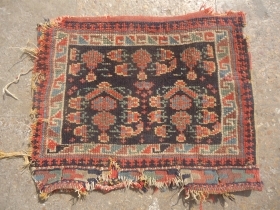 Karabagh Rug Fragment with inscription and date,not ofr the condition conscious,good design colors and age.Size 5'5"*3'5".e.mail for more info and pics. 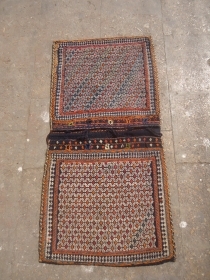 Kashan or Bidjar Mat/wall hanging,great design and colors very good weave,excellent condition,all original.Size 2'8"*2'1".E.mail for more info and pics. 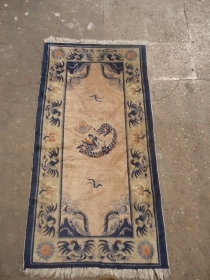 Beautiful Neriz Rug with very nice colors and design,good condition and soft wool.Size 3'7"*2'9".E.mail for more info and pics. 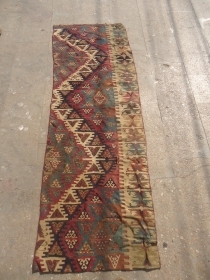 Early Anatolian Kilim Fragment.All great natural colors and extra fine weave.Size 7'6"*2'4".E.mail for more info and pics. 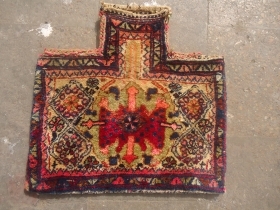 Afshar Piled Salt Bag soft shiny wool,all original.Size 1'8"*1'7".E.mail for more info and pics. 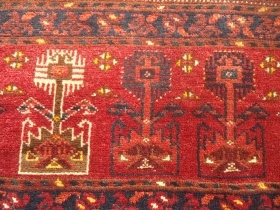 Wishing you all and your families Health,Prosperity,Happiness and Peace for the year 2015.Have a joyous holidays. 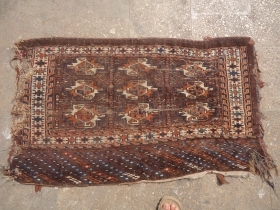 East Anatolian Frag with great natural colors and beautiful drawing,As found.very nice pce.Size 5'9"*4'1".E.mail for more info and pics. 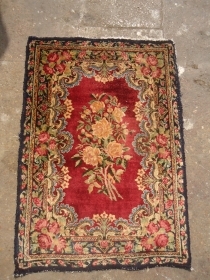 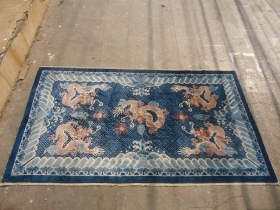 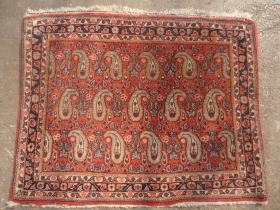 Qashqai or Shiraz rug with shiny wool,good design and excellent condition.Size 4*2'5".E.mail for more info and pics. 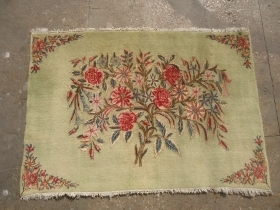 Pistachio Ground Kerman Pushti,all good natural colors,fine weave and very beautiful design.Excellent condition.Soft shiny wool.Size 3'8"*2'7".E.mail for more info and pics. 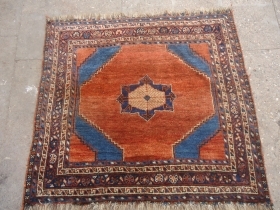 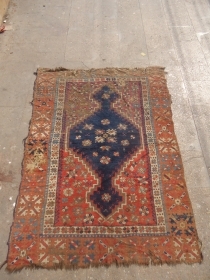 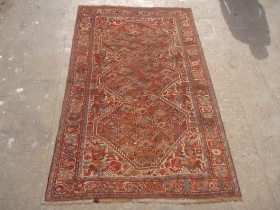 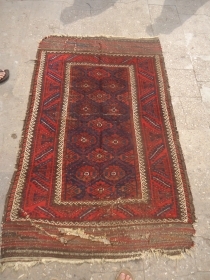 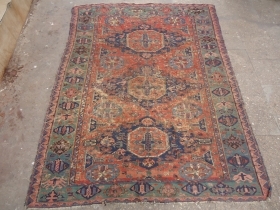 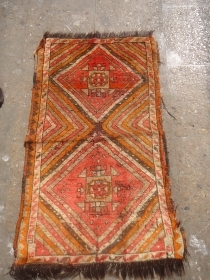 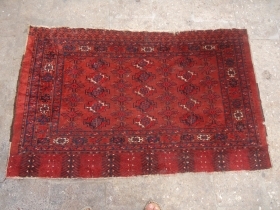 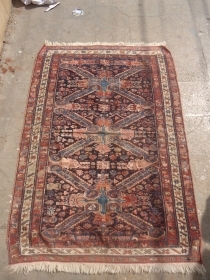 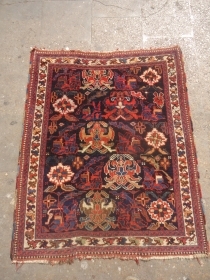 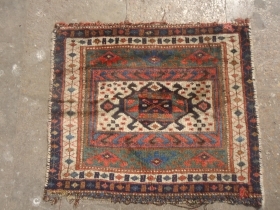 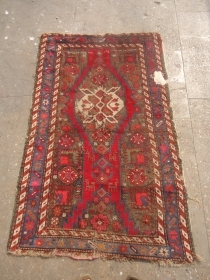 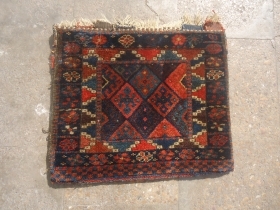 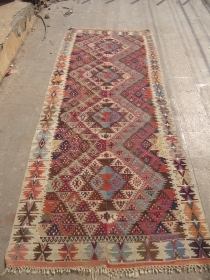 Anatolian Yastik,an early pce with very nice design and colors,as found,shiny wool.E.mail for more info and pics. 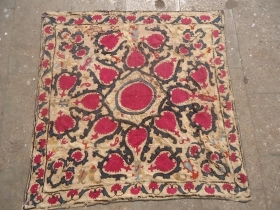 Early Tibet bagface very nice colors and design,as found all original.E.mail for more info and pics. 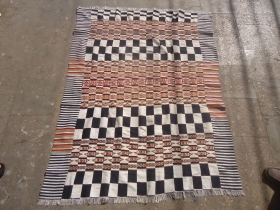 Lets play chess,Arkila old Kilim with very beautiful unusal colors,very fine weave,good condition and age.Size 5'4"*4'4".E.mail for more info and pics. 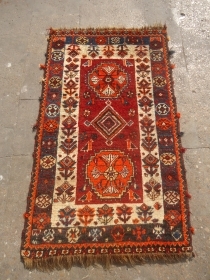 Turkmon Torba with nice design and colors,soft shiny wool,without any work or repair done,as found.Size 3'8"*1'1".E.mail for more info and pics. 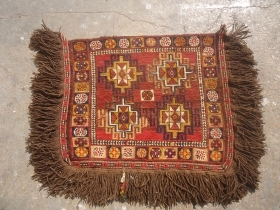 Unusual flatwoven Horse Saddle cover,withh natural colors and beautiful design,excellent condition.E.mail for more info and pics. 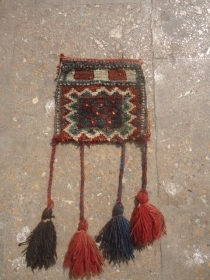 Afshar Bagface with original kilim backing and gold ground,nice colors and design,all original,soft shiny wool.Size 1'9"*1'4".E.mail for more info and pics. 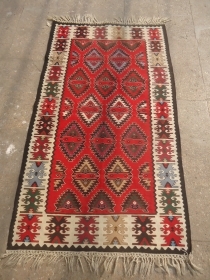 Soumac Kilim with unusual green border,very fine weave,great natural colors,without any repair all original.Size 7'1"*5'4".E.mail for more info and pics. 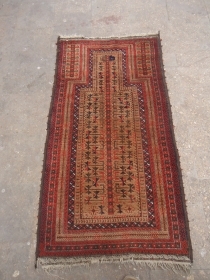 Qashqai Chanteh ?.Nice natural colors,very beautiful design.Size 8"*7"inch.E.mail for more info and pics. 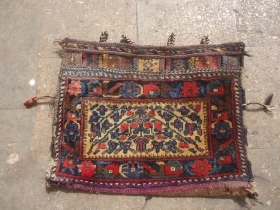 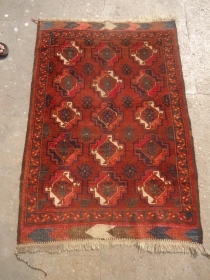 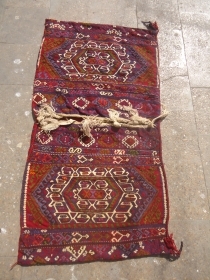 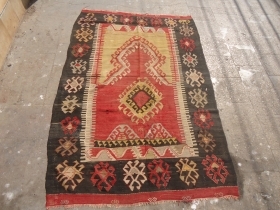 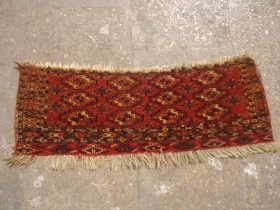 Tekke Chuval with small guls,extra fine weave,good colors,As found,nice design and good age.Size 5'1"*3'2".E.mail for more info and pics.